The Cub Scouts of America have taken the seemingly odd step of incorporating a videogaming pin and belt loop into their curriculum, encouraging Cubs to learn about things like the ESRB, the differences between game consoles and how to find the best deal in town on games. I was a Cub for a few years. Hated every minute of it. Well, not every minute, probably; just the ones I can remember. I don't like other people, I don't like organized group events and I utterly loathe having to perform for others and be judged; yet to "succeed" as a Cub, that's precisely what you have to do in order to earn merit badges. You're not forced to do it, of course, but being a Cub without merit badges is like getting kicked out of the computer club for being too nerdy: It's the sort of ostracization that leaves deep, red scars on the psyche. During my years as a Cub I managed to earn roughly two merit badges, although looking back I have reason to suspect that they were given out of pity rather than due to any actual accomplishment. Did I mention how much I hated Cubs? Fortunately for the current generation of resentful, socially-maladjusted young boys, the Cub Scouts have embraced the future with a new belt loop and pin set that recognizes the value of mad gamer skillz. I am totally not making this up. Cub Scouts, the group known for instilling in youngsters a love and respect for the great outdoors, self-reliance and physical fitness is now recognizing accomplishments focused on the virtual world. 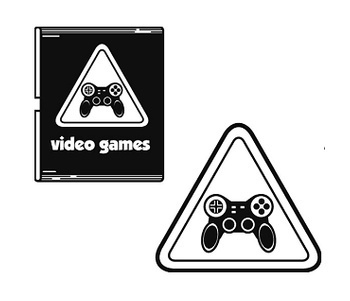 The Videogames Belt Loop requires three steps: Explaining the importance of videogame ratings, making a schedule with the help of an adult that sets aside time for chores, homework and gaming, and learning to play a new, parent or teacher-approved videogame. The Videogames Pin requires Cubs to complete more advanced tasks, such as explaining the differences between two game consoles currently on the market, teaching a friend or adult how to play a videogame and price shopping for the best deal on a game you want at three different stores. I'm really not sure what to make of this. It's great to see the Cub Scouts taking steps to move with the times and stay relevant, but I can't stop thinking that it's a bit of a betrayal of the group's roots in all things outdoors. Maybe I'm reading too much into what's really just a simple, positive move toward keeping Cubs in line with the interests of kids today, but as Scouts founder Robert Baden-Powell himself noted, "A boy is not a sitting-down animal." I suspect he may be a little disappointed.